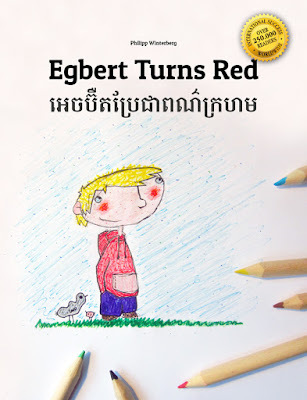 "Egbert Turns Red" is now available in some more languages: Burmese, Dzongkha, Khmer, Lao, Tajik and Turkmen. So far, the children's book has been published in 50+ languages and there are not only softcover editions, but also completely free self-print editions available. Readers can create more than 3.000 multilingual editions by combining the free self-print editions.